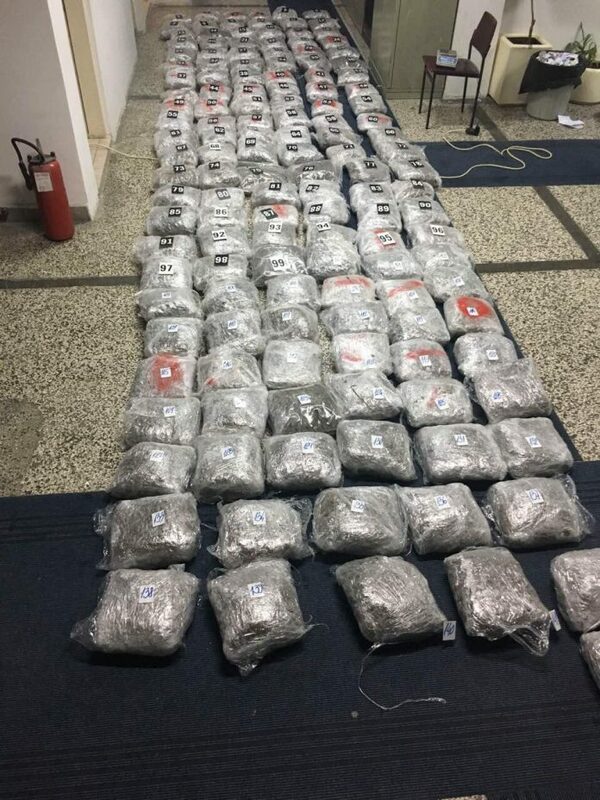 Montenegro police announced that, in two separate cases, seized more than half of kilo of heroin and 170 kilos of „skunk“, genetically modified marijuana. The person identified as E.M. (36), from Rožaje, according to the police, was arrested in Berane on suspicion of committing the criminal offence of unauthorized production, possession and trade of narcotics. “Officials of the Department of the Fight Against Narcotics, in cooperation with the Berane Security Center officials, carried out a search of the Peugeot 307 vehicle, which was run by EM (36) from Rožaje while two other persons were in the vehicle. During the inspection, in the spare tire, police officials found a PVC pack containing a powdered substance suspected of being heroin, of a total weight of 522.9 grams”, the Police Directorate said in the press release. The State Prosecutor in Bijelo Polje Office ordered the arrestof E.M. under a reasonable suspicion that he committed the criminal offence. In the other case, officials of the Border Security Department Ulcinj, in the maritime zone of the Bojana River, before the joint estuary, found seven discarded large passenger bags at the Montenegrin coast. “The officers of the Police Department were informed about the case and conducted an inspection with the officers of the Ulcinj Security Department. The bags contained a total of 143 PVC packages containing dark greenery matter which is suspected to be a narcotic drug type of marijuana, the total weight 170.25 kg. The police are taking the necessary measures and actions in order to find a person who smuggled the found drugs”, the police said.